Tours de Sport Hot Deals: SAVE UP TO 40% ON WINTER PARK RESORT LODGING WHEN YOU BOOK BY SEPTEMBER 13TH! 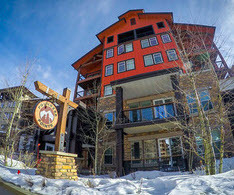 SAVE UP TO 40% ON WINTER PARK RESORT LODGING WHEN YOU BOOK BY SEPTEMBER 13TH! Our friends Jamie & Cindy in Winter Park have done it again! With these great offers, you can save 25-40% off some of the BEST addresses at the resort!